Disclaimer: This is a creative exercise, it does not reflect the views of Google. Google, Amazon and Apple's names pop up often in the financial industry. A tech giant making a serious move into the financial industry is seen as something of a hypothetical watershed moment for traditional banking and insurance companies. In the current climate, financial institutions spending billions of dollars on slow-moving digital transformation strategies is simply the cost of staying relevant. Traditional companies are already having to compete with tech-focused newcomers such as Ping An Insurance who in less than 10 years have become bigger than traditional players hundreds of years old. That's a potential game-changing scenario. Traditional companies would find it near impossible to match a big tech banking proposition in terms of the technology, user experience, distribution and execution speed. However, as much as this gets hypothesised at a high level within the financial industry, I've never actually seen much material or thinking on what a "big tech" consumer banking proposition might look like. So I set aside 2 days and had a go at it myself. Here's what I came up with. 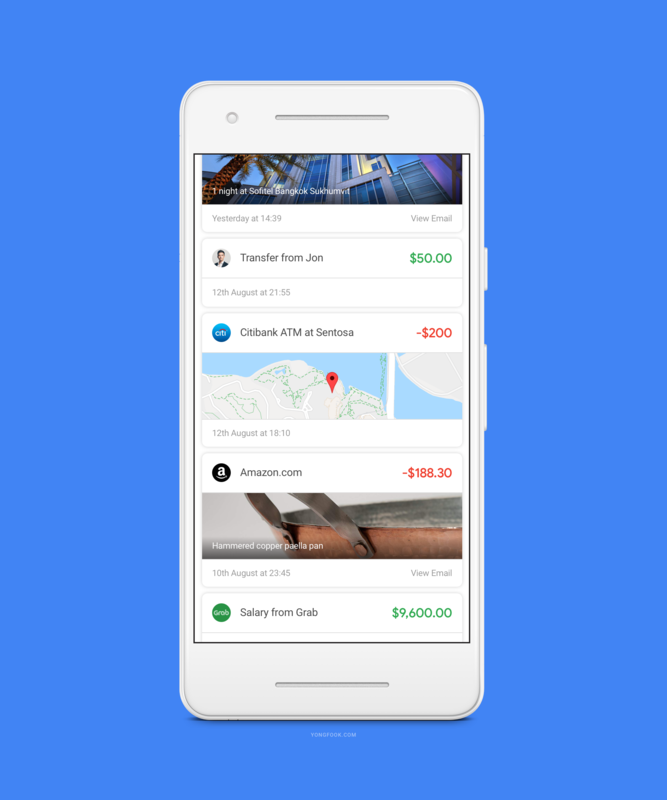 Introducing Google Bank. Ever looked at your recent transactions and thought "what is this charge?". It's not always easy to identify charges. For example, sometimes the billing organisation is named differently to the merchant you interacted with. 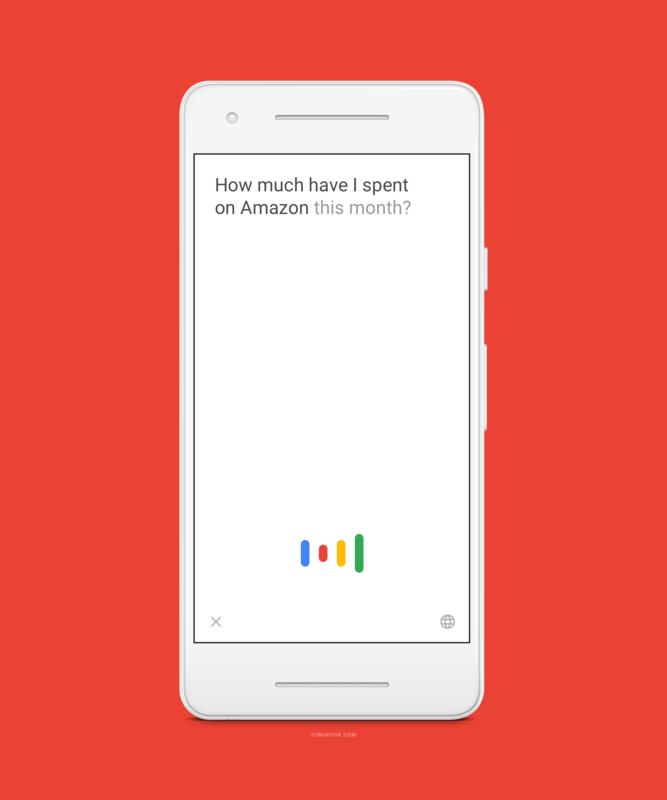 Google Bank augments your transactions with data it already has about you and the things you interact with.  Data such as your physical location at the time of the transaction or relevant data pulled from emails in your gmail account are automatically added to your transaction data, making them much easier to understand. Querying your transactions on an online banking portal is usually quite clunky. It's often a frustrating mess of clicking on tiny calendars and drop downs. It's rare to see a UI from a bank that accomplishes this elegantly, despite this being the most frequently-used feature of online and mobile banking apps. At Google Bank, querying and searching transactions uses Google's core technology - search. At Google Bank there are no fiddly toolbars to choose dates, you simply type or speak a search query and Google Bank fetches the results. At Google Bank, querying and searching transactions uses Google's core technology - search. At this very moment, you're probably paying monthly for something you don't actually use. These days we set up so many recurring-billing agreements with different merchants that it can be hard to keep track of them all. Your current bank has no idea whether you're actually using that gym membership, but Google Bank does. 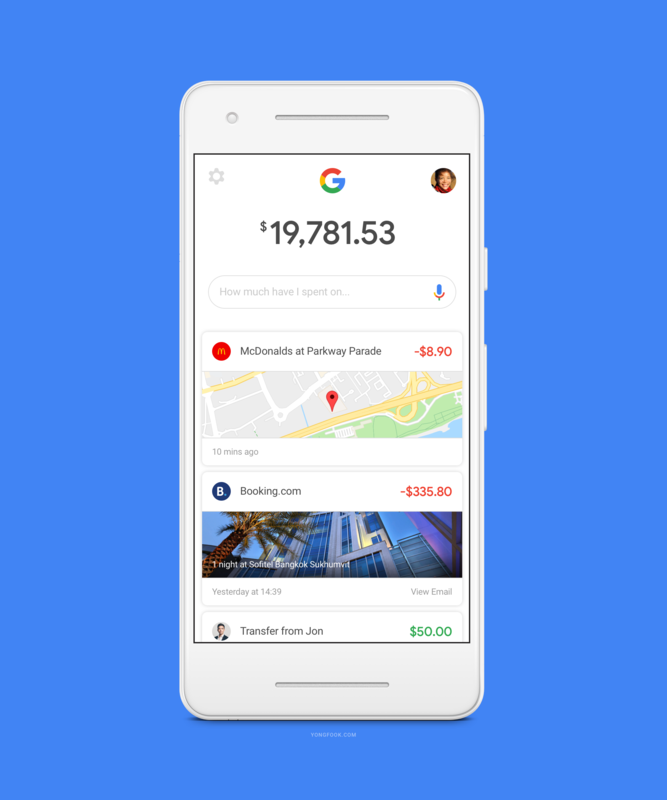 By combining your location data history along with the gym's geographic location, Google Bank will make sure you're getting the most out of your fees. Your current bank has no idea whether you're actually using that gym membership, but Google Bank does. 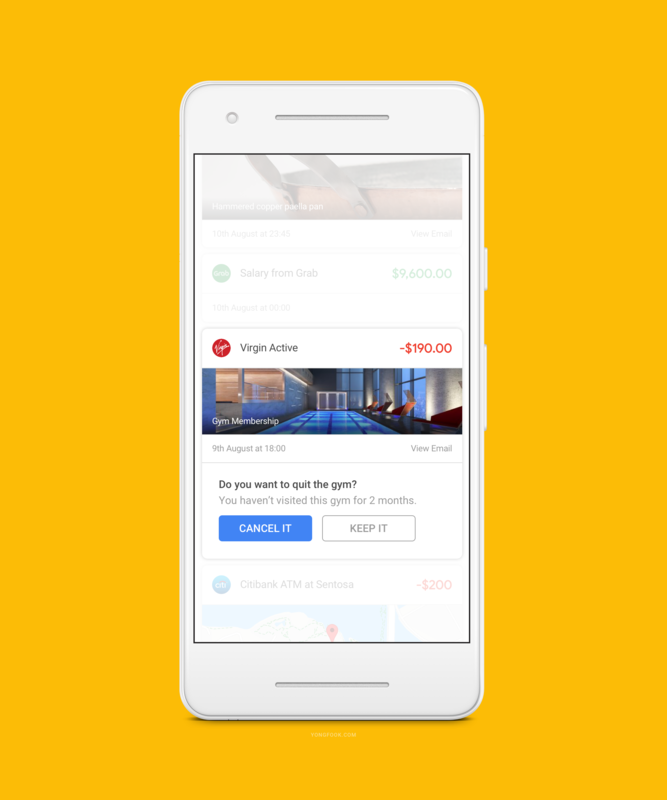 If you choose to cancel your gym membership, Google Bank takes care of that awkward conversation for you. 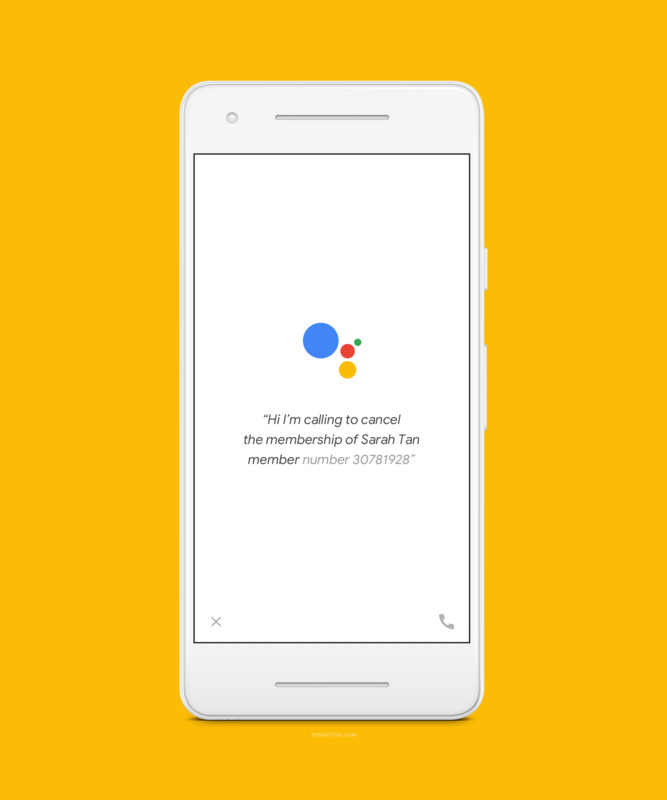 The Google Duplex Assistant will call your gym on your behalf and handle the cancellation of the membership automatically. Paying bills is another common use case in online banking. Your bank probably gets you to choose a payee from a drop down and then enter your account or invoice number and amount to send. Typing in all those numbers is tedious. 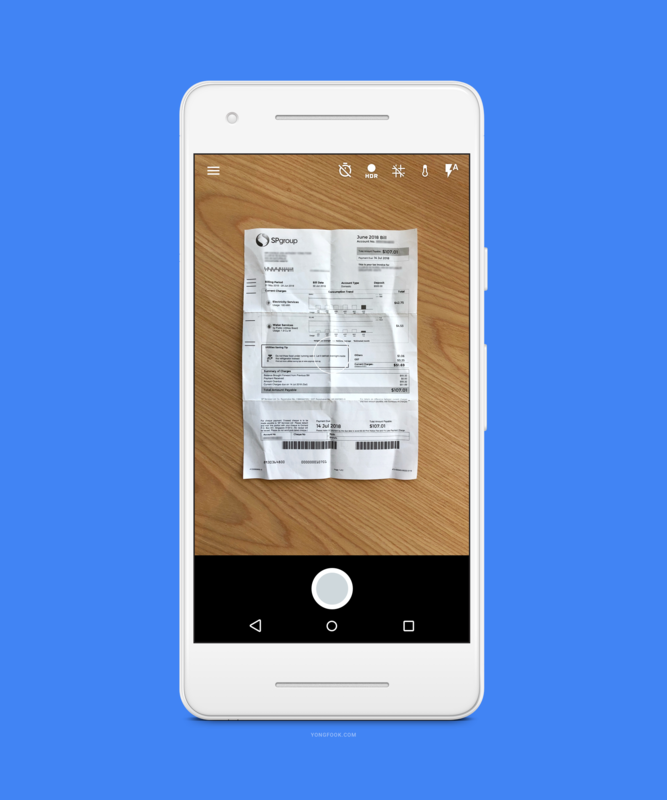 Google Bank uses Cloud Vision to pull the relevant details from your paper bills automatically. All you have to do is snap a photo and then click a button to pay. 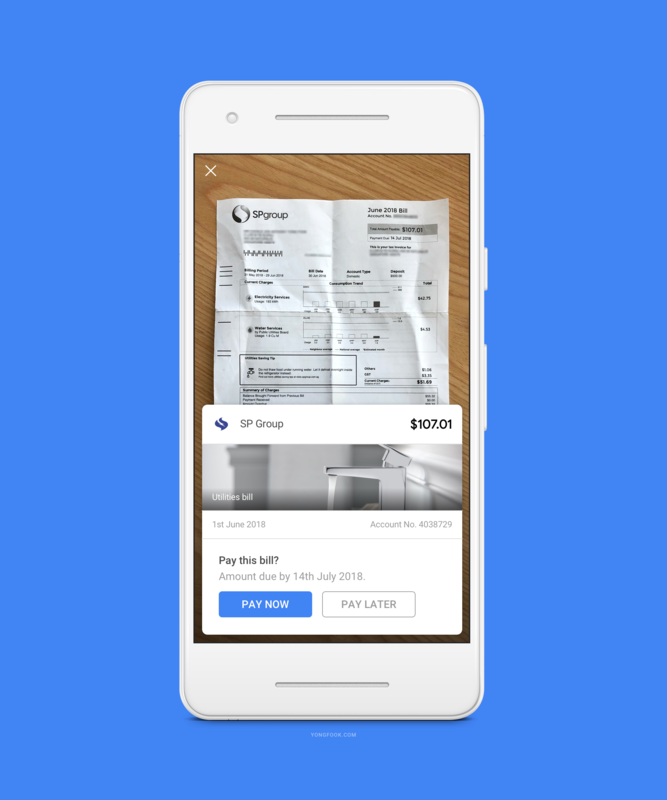 Google Bank uses Cloud Vision to pull the relevant details from your paper bills automatically. One way banks earn revenue is by selling financial products to customers such as investment products, credit cards, loans, insurance etc. In a traditional scenario, a bank decides which products are relevant for customers by hiring relationship managers to have conversations with customers about their needs. 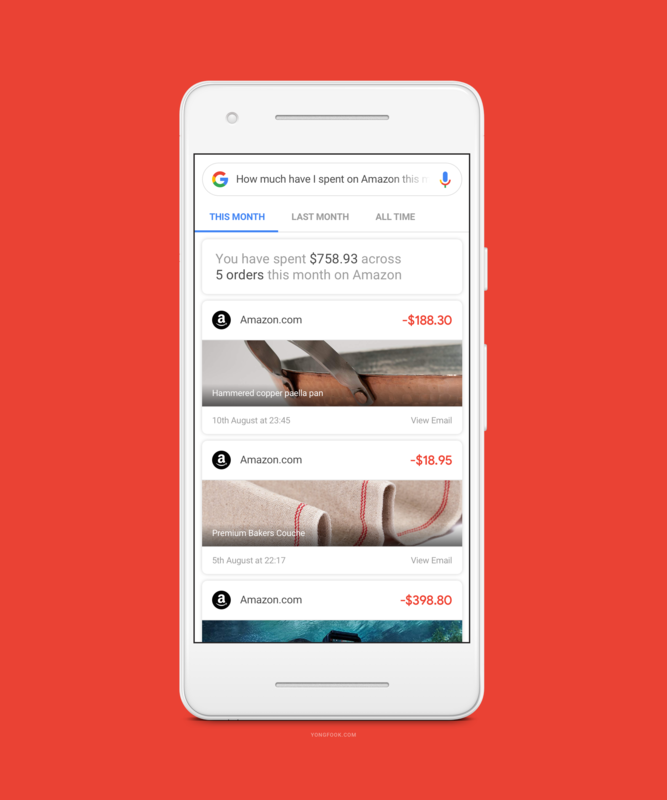 Google Bank automatically shows customers financial product offers only when it is contextually relevant. Google can automate all of this. It knows a great deal about you already and combined with your financial information, Google can make recommendations that makes sense. 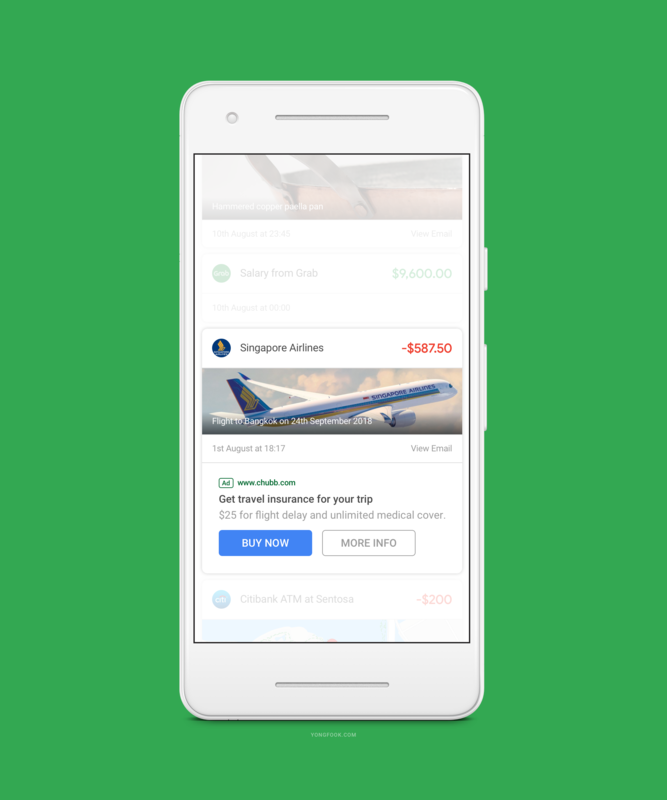 Timing is also key, and Google Bank automatically shows customers financial product offers only when it is contextually relevant. That's a glimpse of a possible future of consumer digital banking. In this future, tech companies and other digital-first companies will begin to own the relationship with the customer more and more. Customers get a more relevant product experience that's integrated with the rest of their digital lives. 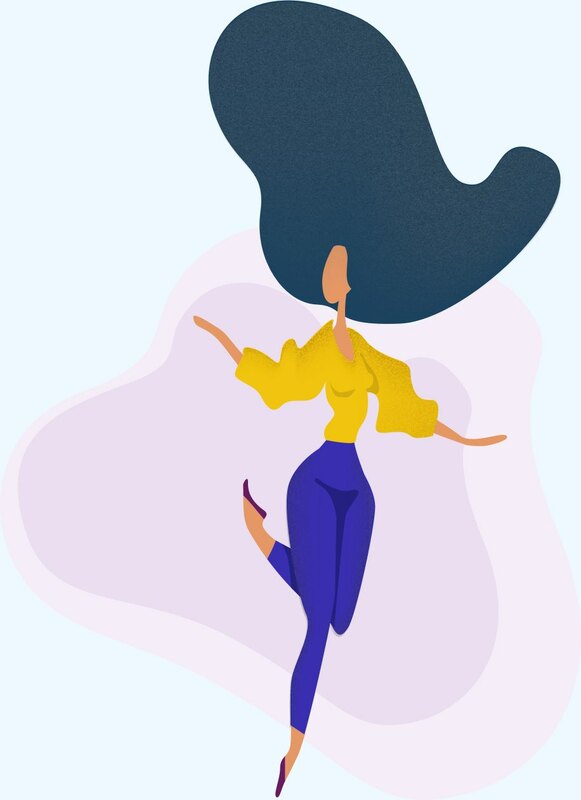 In a world where financial product differentiation is difficult to achieve, customers will vote with their fingertips and go with companies who have the best digital product experience. If your organisation is commited to an aggressive digital transformation strategy, get in touch with us to see how we can help.